This lightning fast cable provides an instant connection between your MacBook Air or Pro and a display. 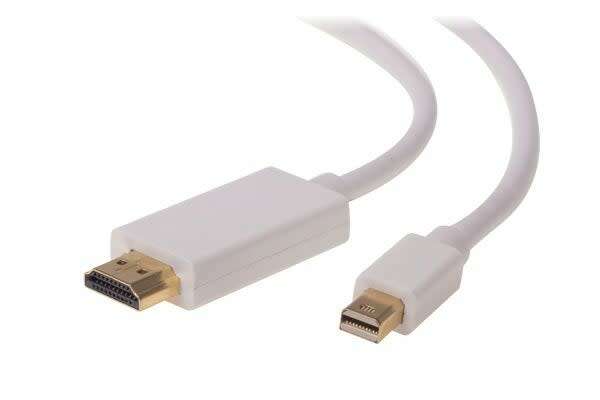 The Mini DisplayPort to HDMI Cable (Male to Male, 1.2m) is a great way to connect your PC to a television or external display in a quick and no fuss way. It works perfectly with the new-generation MacBook computers and allows you to project your movies and presentations stored in these onto any device with an HDMI port. What’s more, you won’t need any additional adapters with this fabulous plug and play cable either! A product that does what it says it does at a great price compared to big brands. Great quality too.